When a brilliant billionaire is diagnosed with inoperable brain cancer, he realizes that all his considerable wealth cannot prepare him to meet his Maker. But he has an idea that might: he will stage the ultimate reality show. With his true agenda hidden, he auditions followers from all the world's major religions, inviting them to the trial of their lives on a remote island, where they must defend their beliefs against spiritual challenges. 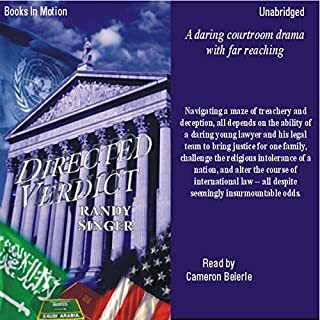 Oliver Finney, a feisty old judge with his own secrets, is chosen to defend Christianity. As the program takes a strange twist, he quickly realizes he is trapped in a game of deadly agendas that may cost him his life. With Internet access monitored, Finney sends coded messages to his law clerk, Nikki Moreno. Aided by a teen crypto-geek, Nikki soon discovers the key to understanding Finney’s clues in an apologetics book Finney wrote and must race against time to decipher the mysteries contained in the ancient words of Christ before her boss dies defending them. I really enjoyed the main character in particular. He was very human. I like Christian novels which portray Christians that are realistic and can be related to by anyone who lives in the real world. The story was good. It kept my attention; was intellectually stimulating and emotionally engaging. This was a great story! I laughed. I cried. The story line is entertaining and attention grabbing. 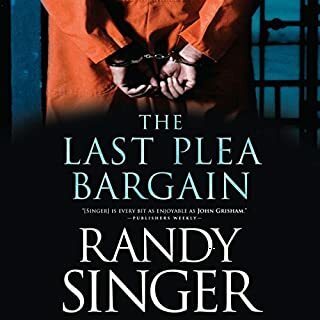 Randy Singer has proven that you can write an excellent suspenseful book without profanity. The narrator was very good. His use of different voices and inflections was great. This book will not be removed from my phone or IPAD because I will be listening to it again. 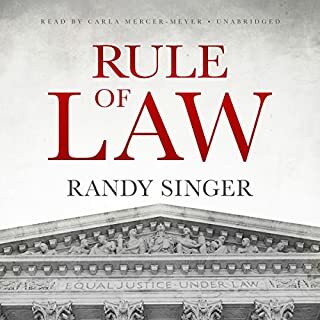 I have enjoyed all the Randy Singer books that I have read. This one has a different type of mode in which the mystery is solved. It is enjoyable to read something a little different. What did you love best about The Judge? I liked the premise fo a reality show to decipher the "true God." While obviously told from a Christian worldview, the members of other religions - and even those who believe in humanism or science - are drawn fairly three-dimmensionally. While all charcters had their high points, my favorite character, due to his surfer-dude persona, was the Swami (forgive the spelling). 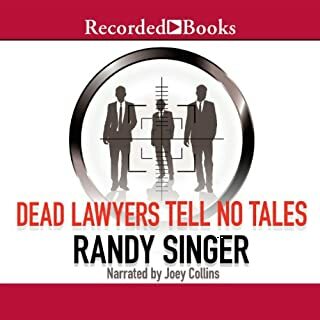 Randy Singer provided him with just the right amount of comic relief, and the narrator was fantastic at his portrayal. I would have if I could. This book had a couple of drawbacks - cameras neglected in some scenes, secret codes - but was overall an interesting read. Keep it up, Mr. Singer! 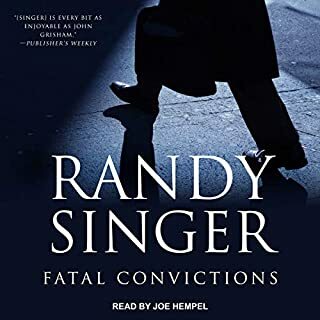 Randy Singer is a new find for me. I really enjoyed this story. It was well written, and kept me engrossed in the story, and characters. The narrator did an excellent job, with telling the story, as well as defining each character. I am looking forward to listening to other books by this author. I really enjoyed this book! I learned a few things, and spent a few hours contemplating what I read...very thought provoking! The plot had some strange twists, and I liked the characters - particularly Wellington...wonder if perhaps there will be a 2nd book? I would definitely recommend this book to a friend! Would you listen to The Judge again? Why? Yes, I have listened to it twice already and enjoyed the storyline. Which character – as performed by John McLain – was your favorite? The Judge himself. Old, crotchety, reminds me of some local judiciary! This was a book that I really enjoyed. The narrator did an excellent job with the characters voices. I found myself wanting to listen even if I only had 5 minutes to spare. I intend to look up more books from this author and narrator. 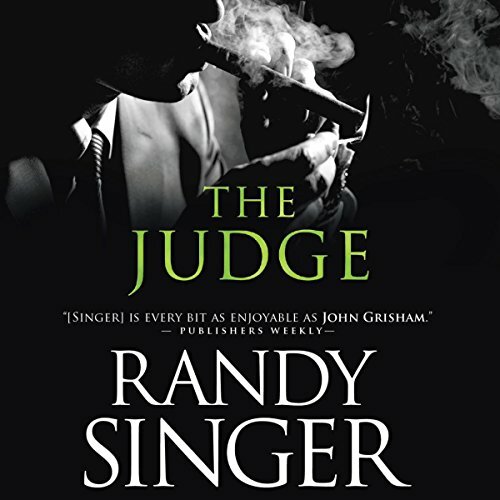 Would you consider the audio edition of The Judge to be better than the print version? I have not read the book, but the audio version is super good! The narrator is great with the voices. I loved his Southern accents! The views of the different religions. Randy Singer had to do a TON of research to write this book, and it paid off. The cave scene toward the end of the book. If you could take any character from The Judge out to dinner, who would it be and why? Judge Finney. I would love to hear stories about his cases and life as a judge. But, it would be fun to spend time with the Swami, too! I loved his character! Randy Singer proved that a book can be exciting, suspenseful and, at times, funny ... without offensive language. I highly recommend this book as well as any of the others he has written. I would have given it more stars if you offered them! The book focuses on the various religions. I would find myself wanting more religion tied into the times outside of court. there is a great deal spent on coding. While my brain couldn’t wrap around that concept, it was worth racking my brain as the ending was Very powerful.